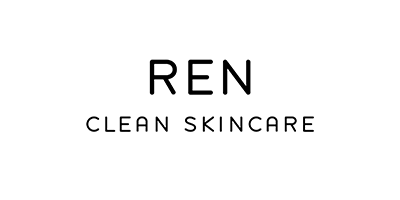 REN Clean Skincare launched in 2000, with the intention of providing people with the purest skincare, that will better skin health without damaging your skin or harming the environment. They strive to create skin and body care innovations that are only formulated with ingredients that will protect each product’s efficacy. The philosophy behind REN’s Clean Skincare consists of three simple ideas - performance, purity and pleasure. By following their mission of helping the planet to become a cleaner and nice place, they are delivering kind-to-skin formulas that will work to enhance the appearance of the skin, to achieve a healthy and long-lasting, youthful look. Their mission of working towards a cleaner planet is demonstrated throughout their ingenious formulations. REN uses hi-tech, 100% plant and mineral derived actives to provide us with ground-breaking formulas that are completely free from any harsh chemicals, toxins and potential irritants. REN has become a widely-recognised brand within the beauty world, favoured by beauty editors, social media influencers and celebs alike - their skincare ranges are a true winner in the industry! As a way to tackle the current waste problems around the world, REN are working towards their aim of becoming a waste free brand by 2021; with the idea of refillable solutions and 100% recycled packaging, they are contributing to making the world a better place – who wouldn’t want to be a part of something so great?